Because it went off the market a few weeks ago, there've been rumors that actor Nicolas Cage's Bel-Air estate was sold or rented out. The home has just been re-listed. And seriously pricechoppped. And in what looks to be big marketing push, the interior of the home has been photographed and there's a virtual tour. Aaagaha. Dying. Dying. Take it all in, but do not miss the bathrooms. The artwork. The kitchen (small! ), and the sweet pantry. And what looks to be the "Ghost Rider" bike on the lawn. 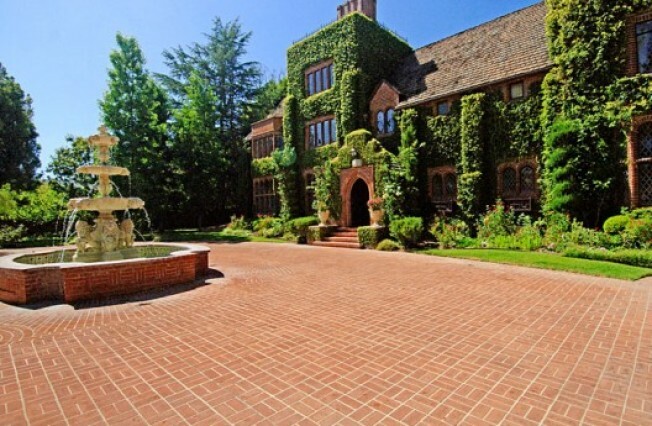 Meanwhile, the home was originally listed at $29.999 million in September 2008, before dropping to $17.5 million. It is now listed at $9.95 million. Cage purchased from singer Tom Jones for $6.469 million back in 1998.